Inspiration through playful workshops. Taking you off autopilot to find your inner child and your creative spirit! The first time I was asked to run a full day training I was terrified. That was nearly 10 years ago and since then I have not only run countless workshops with a wide variety of ages, interests and needs. I have grown to love the interaction with people and seeing their creativity raise to the surface. 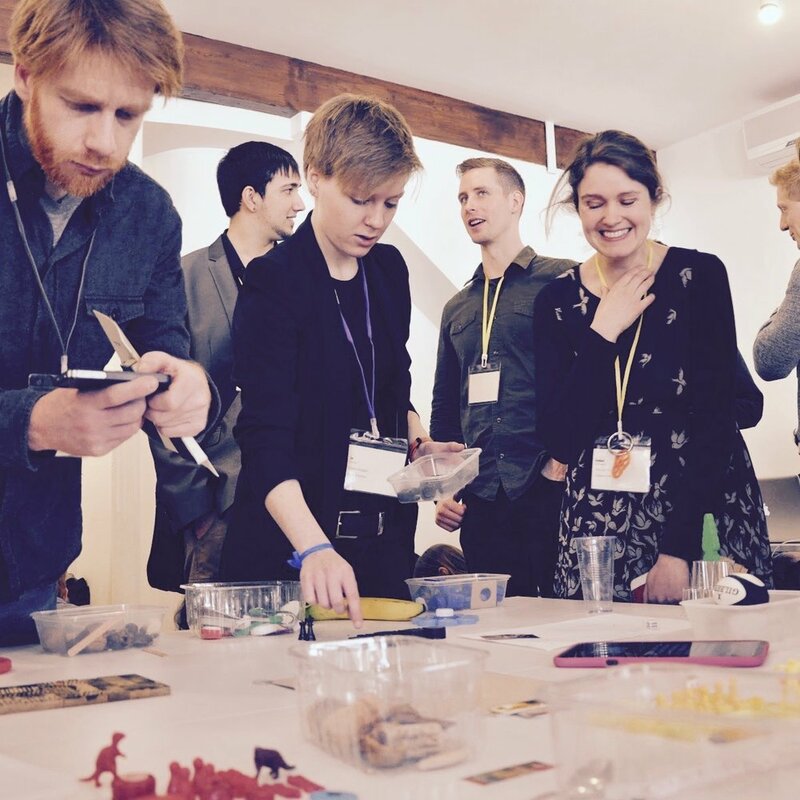 Corporate Play Workshops can run from 4hrs to 1 week and are powerful for any culture, interest, and or profession. The primary part of the workshop(s) is about Play and opening up to see your own creative spirit. The materials stay pretty much the same, everyday objects, but the desired outcome and questions are created by the client and I in conversation. Fun engaging workshop filled with play, conversation, creation and thinking. Sit down and work together on the question or thought in front of you using recycled circles. ho are your clients, customers, users? Through a series of mapping and other playful games we define current personas and then most importantly the persons of the ones we have not yet reached, but would like to. A unique workshop with specific questions to inspire thinking in this direction. Your team them work to answer these questions using recycled materials brought in from home. We work with the ‘things’ to create a now portrait of our lives (what are 3 positive traits) and then most importantly we create a future vision of the life we want.